Seventeen-year-old amateur detective Annie Tillery is at it again. After she wins a series of art lessons at a prestigious art gallery, Annie shows up for her first lesson to find her instructor, Francesca Gabrielli, in a volatile argument with John DiCristiani, the art gallery's director, over his incessant requests for her to illegally copy art masterpieces. Unwittingly, Annie is about to be drawn into the illicit, treacherous, and unpredictable world of art forgery. When the gallery director is found murdered in cold blood, Francesca becomes the prime suspect and calls upon Annie to help solve the crime. As Annie and her NYPD detective aunt, Jill Tillery, brave the dangers of an international art fraud ring in an attempt to clear Francesca's name, they soon realize that the key to solving the case revolves around a mysterious brownstone in Brooklyn whose inhabitants present tantalizing and elusive clues. As Annie and company attempt to stay one step ahead of DiCristiani's murderer, they manage to escape one deadly trap after another. The stakes are high in the glamorous yet dangerous world of illegal artwork trafficking. Annie must solve the crime before it is too late. The characters are fun and interesting. This is the 2nd book in this series that I’ve read and I really enjoyed them. I’m looking forward to the next book. I recommend this series for teenagers as well as adults. WOW! It’s even better than The Madonna Ghost! The second in the Annie Tillery Mystery Series takes the reader on a journey through the sinister and mysterious world of art forgery as Annie tries to help a new friend. As with her first novel, Linda Maria Frank provides the reader with not only a page turner mystery, but with a great deal of good research–in this case about art forgery. Her strong and memorable female characters are welcome in a world that is usually dominated by men. Both teenaged readers and their parents will enjoy this novel. 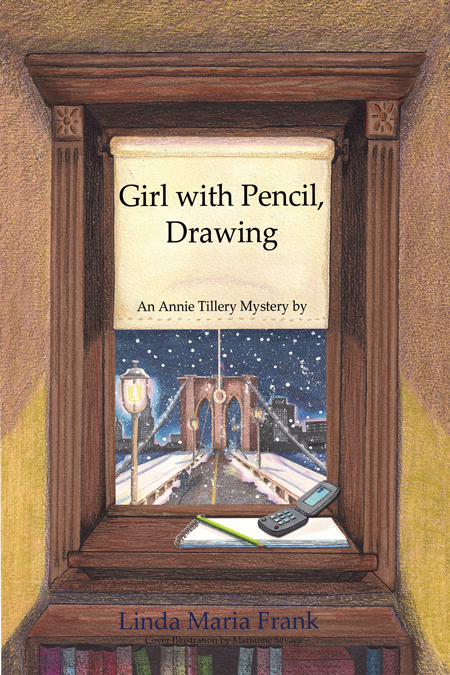 In the second book in the Annie Tillery Mystery series, The Girl With Pencil, Drawing we follow amateur detective Annie Tillery once again. Annie wins a series of art lessons at a prestigious art gallery. When she shows up, her instructor is arguing to the art gallery’s director over his non-stop requests for her to illegally copy art masterpieces. When the gallery director is found murdered, Annie’s instructor becomes the prime suspect and asks for Annie and her aunt to help solve the crime and clear her name. Annie and her aunt, Jilly, a NYPD detective, have a lot on their plate in this second installment. Not only do they have to face the dangers of an international art fraud, they also have to solve a murder in which the key suspects offer anything but easy clues. And with the murderer still on the loose, their very lives could be in danger. When it becomes clear the murderer has something planned for Annie and her instructor, she has to save both of them. This is a true page turner aimed at teens. The book combines several subplots and waves them masterfully into one tight, suspenseful plot. Obviously a lot of research went into writing this book about the world of art, which makes it even more impressive. Definitely recommended to YA mystery fans. I received a free copy of this book in exchange for an honest review. He busied himself rummaging through the kitchen drawers, two sets of panic-stricken eyes following his every move. He found some emergency candles and went into the small dinette adjoining the kitchen. He lit them, let the was drip onto some paper plates from the counter and affixed the candles to the plates. There were six candles in all. Was he into satanic rituals? He came back into the kitchen and turned on all the gas jets at the range and the oven, leaving its door ajar. He blow out the flames, letting the gas escape freely. “Bye, bye, ladies.” He hurried out the back door locking it behind him. When I was a young girl I loved reading the Nancy Drew mysteries and to this day I still enjoy the style and mysteries of the young ‘detective’ but you can only read them so many times before you know them by heart. Well… Author Linda Maria Frank has brought my young memories back. 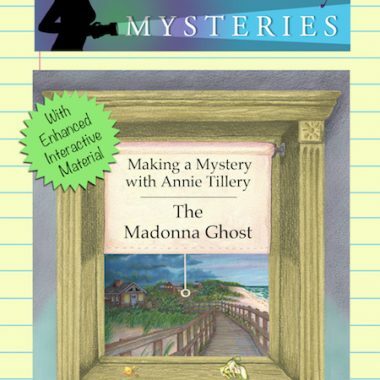 Annie Tillery is today’s Nancy Drew! In fact, she is great at getting herself into trouble but working it out in a fashion that would make Nancy proud. In Girl With Pencil, Drawing Annie goes to art school and finds that her instructor/teacher is mixed up in a murder that Annie doesn’t believe she committed. Can she prove her innocence without getting both of them killed? What do you think? 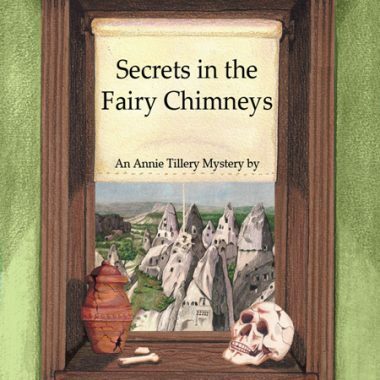 This the second book in the Annie Tillery Mystery Series. I’ve read the first, loved it and couldn’t see how it could get any better. Well it does. I’m now looking forward to reading the third book to see what Nancy, oh excuse me, Annie gets into and how she gets through it. Linda Marie Frank sure has a knack for building page turning mysteries. Although I am far from a young adult, I became thoroughly engrossed in this read. Being the second in this series of three, I hope “Girl With Pencil Drawing” doesn’t suffer from middle child syndrome. (You know how the middle child often is the one most likely to be overlooked.) But those middle children often sneak up to grow into the stars of their families. I won’t be at all surprised if this is the case with “Girl With Pencil Drawing.” It’s magnificent. Meticulous research, beautifully articulated, intriguing plot.